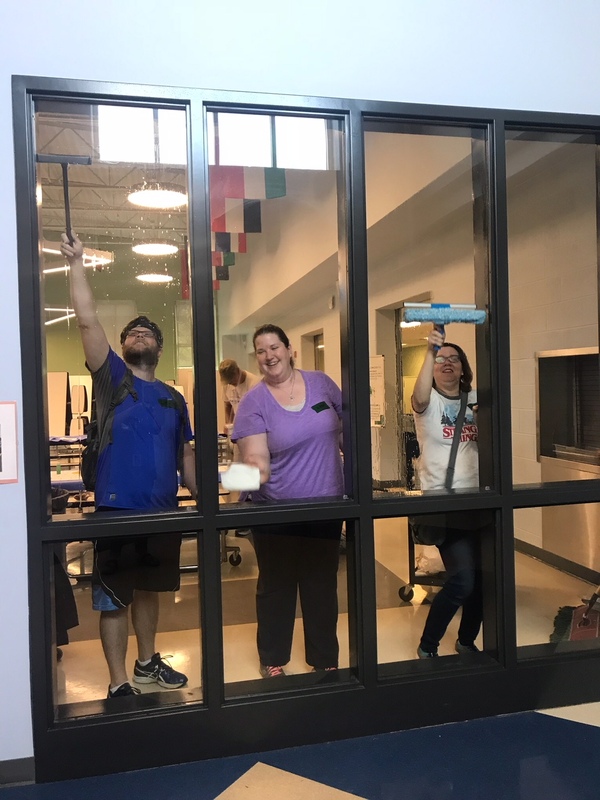 Chuck Hodgin, Lina Sheahan and Nicole Fox, three members of the Bunch Library faculty, volunteered on Sat., Sept. 22, at Norman Binkley Elementary School as part of Hands on Nashville Day. They spent the morning washing the interior windows of the school in an effort to help the custodial staff. Other volunteers planted trees, mulched the playground and washed the cafeteria tables. Hands on Nashville Day is a yearly day of service that mobilizes more than 1,500 volunteers to support Metro Nashville Public Schools throughout the city.